Did someone just mention STEAKS? 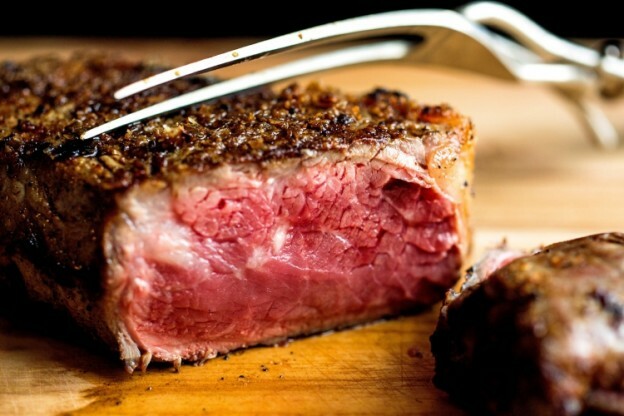 With steakhouses springing up like mushrooms after the rain everywhere in KL, here are the 5 staple restaurants that never fail to impress us with succulent and tender steaks. 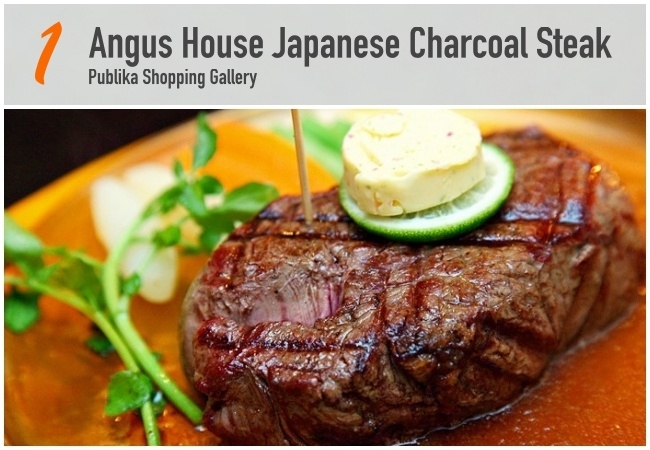 Angus House is one of the few rare steakhouses that offers international cuisine with a Japanese touch thrown in. Meat doneness is not an issue here as the chefs know what they are doing. At Angus House, steak, seafood and salad served are complimented with the best of Japanese flavours. Find your salad laced with Japanese wafu dressing or taste the unconventional steak sauce made up of Japanese soy sauce. Not to worry if you prefer a familiar tasting sauce as the outlet has mushroom and black pepper sauces on stand-by. 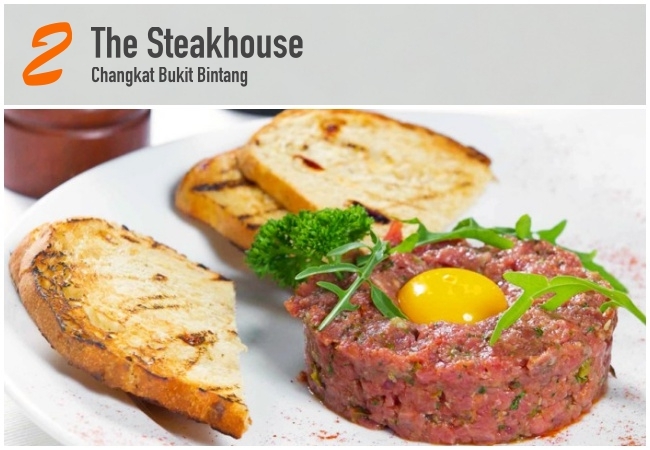 With 40-seater, The Steakhouse has been consistently listed on the chart of best steakhouses in KL, offering diners one of the best steaks you could find in the town. The beef is imported from Australia and you can choose between the aged Black Angus and Grain Fed. There on, choose from five cuts – medallion, tenderloin, rib-eye, T-bone and striploin after which you choose your sauce (béarnaise, black pepper, red wine etc) and style of potatoes (baked, mashed, wedges etc). All steaks orders are accompanied with grilled vegetables, tomato salsa and onion rings. All cuts are grilled over charcoal, a style popularised by the Argentinians. 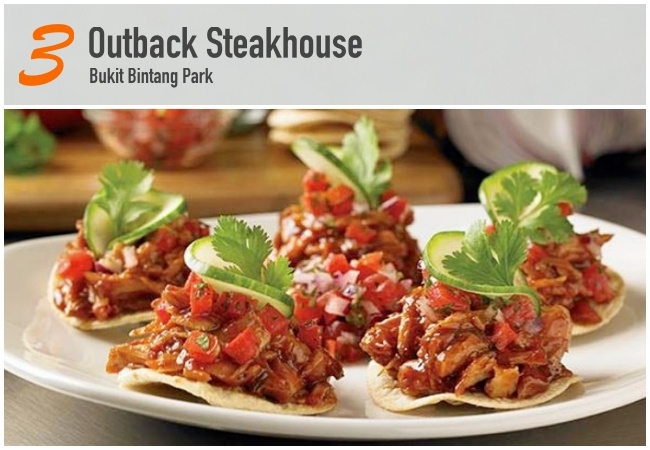 Outback Steakhouse lives up to its bold tagline “Big, Bold and Fresh”. “Big” refers to the generous portions and variety of food served at Outback Steakhouse while “Bold” is their seasonings as everything in their secret 17-spice blend is made inhouse, from scratch! “Fresh” of course refers to the ingredients sourced from around the world with quality credentials from the US. Dining in a group is recommended as some of the generous portions definitely need to be shared. It’s time to hang out with awesome food buddies! This fancy outlet offers an alfresco dining area, as well as indoor dining area. In the dining room, Pampas Reserve offers a daily tasting menu with a journey of seasonal ingredient, pure, clean and intense flavours. 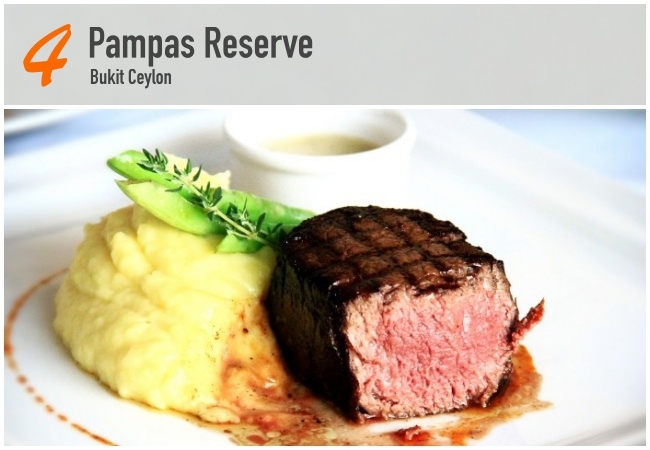 Pampas Reserve has their menu designed around the best steak that South America has to offer, and is complemented by an exceptionally smart wine list that will easily satisfy every palette. Almost anything on Pampas Reserve menus can be on your private dining menu. From a delectable appetisers, to the mouth watering prime-aged steak, to the too good to be true desserts, you definitely need to make a trip to Pampas! 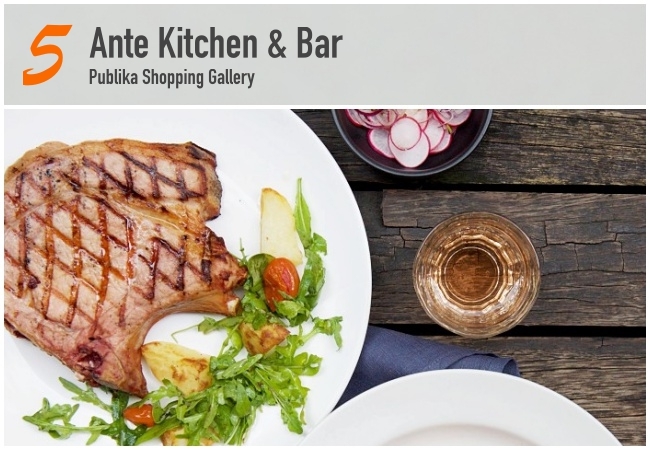 Recently been awarded as the “Best Place for meat” by Time Out KL, Ante Kitchen Bar is the destination for pork eating enthusiast of choice. Famous for their chargrilled pork steak, roast pork belly with caramel sauce and pork bacon carbonara. This hidden gem of a dining establishment is situated at Solaris Dutamas. Try the BBQ Ribs and Pork Knuckle if you're a party of 3 or more, if you're with a date, the a la carte menu will not disappoint as Ante has got it covered from duck confit, chargrilled steaks, to gourmet burgers and pizzas. A full bar menu with wine list and Espressolab coffees also means you could just chill out and enjoy the ambiance. Just remember to book a table.